Let me start out by saying that Perfect Photo Suite 5.5 is a free upgrade to all owners of Plug-In Suite 5. Many of the products are new versions and some like Perfect Layers is all new. "All of the products in the Perfect Photo Suite 5.5 will work as plug-ins for Photoshop, Lightroom, and Aperture. But now, for the first time, five of the seven products in the Perfect Photo Suite will work as standalone applications, giving you the ultimate work-flow flexibility. Only PhotoTools and Mask Pro will require Photoshop." (From the onOne Software's website.) What is common to all these programs is that they will now work in Lightroom and Apertures which opens the door to all those users who rely on those two programs for their workflow. These changes expand the breadth of the seven programs included. Some of the programs have new features themselves. Since I do not believe in reinventing the wheel, I will use onOne Software's description of the contents of Perfect Photo Suite 5.5. I wrote detailed reviews of all these products for Plug-In Suite 5. Here I am combining all of them in one review and mainly discussing the new features. I tested this product mainly using Photoshop. Most of the individual components are accessed from File>Automate. 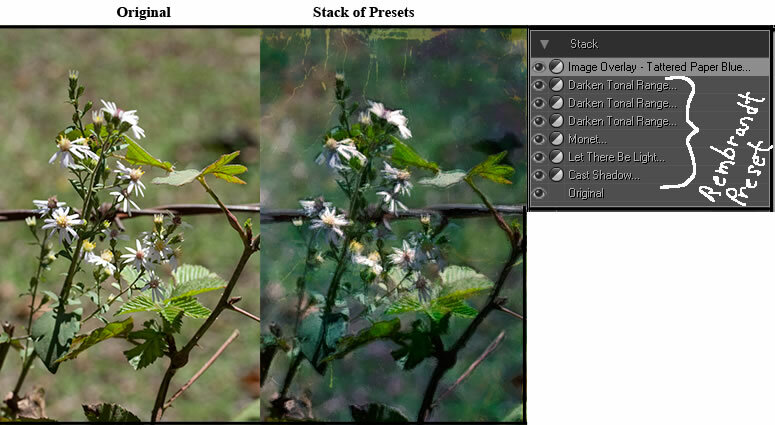 Mask Pro is accessed from Filters>onOne. One can work with single images or apply effects to batch images. There are a number of ways to access these products. Some of them depend on the host program. 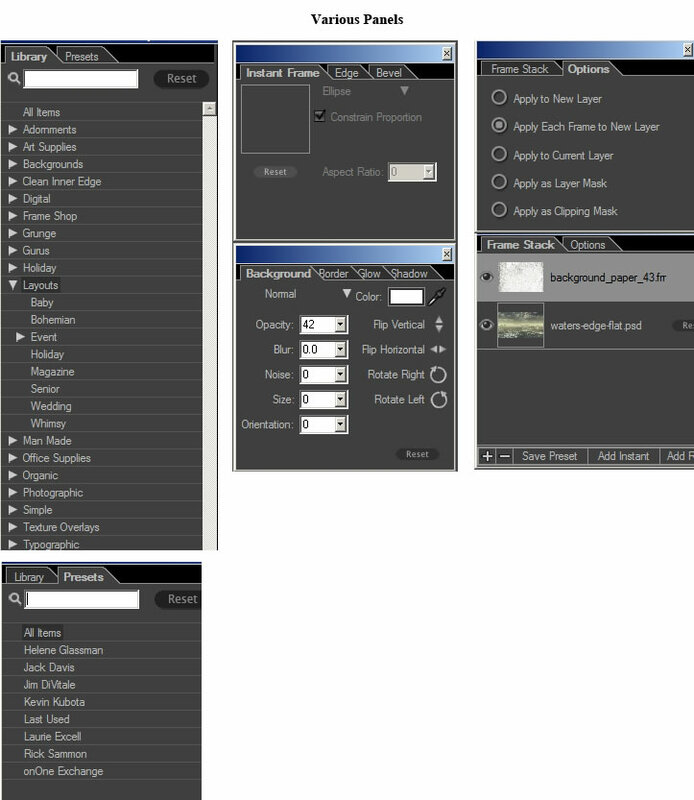 For Photoshop, you can access them, as stated above, via File>Automate or you can place all at your fingertips. From Lightroom you go into Plug-ins> Extras. If you want to use it as a standalone, you create shortcuts from the Perfect Photo Suite 5.5 individual programs which you will find on drive C.
Here is the panel from Photoshop. It is very handy and I recommend if you have two monitors that it stands on the second one. That way it is always handy. 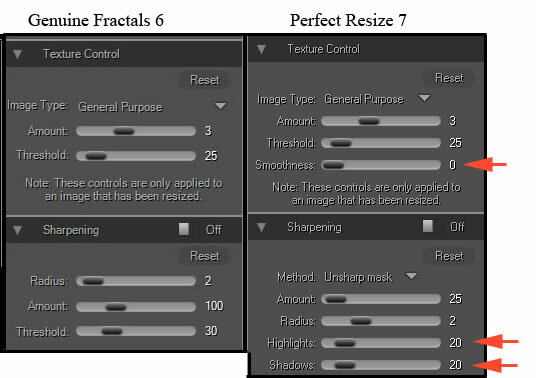 "Perfect Resize 7 – The next generation of Genuine Fractals – Based on the same proven and patented algorithms as Genuine Fractals, the newest version of the industry standard for image resizing introduces new Smoothness and Sharpening controls to achieve the highest quality results when enlarging images. In addition, Perfect Resize adds features that make printing easier and faster including the new Loupe Tool for an instant 1:1 magnified preview. The upgrade also adds the ability to save custom Presets, a new Gallery Wrap preview with Auto Corner Fill, and Image Tiling improvements. Perfect Resize 7 now enables those who prefer a Lightroom or Aperture only workflow to resize a single or batch of images directly within those applications." NEW! 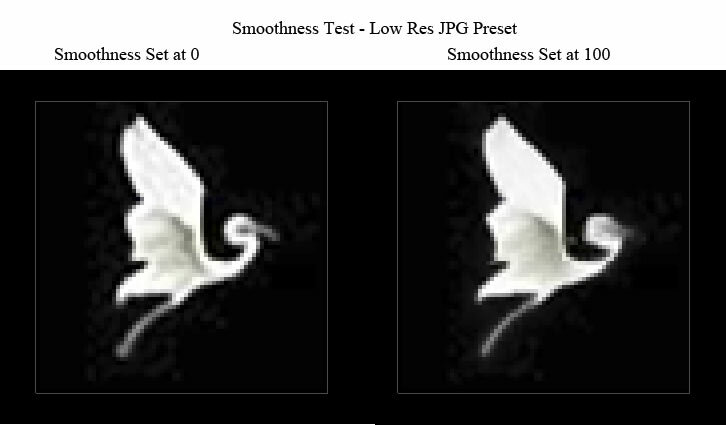 Smoothness control to minimize artifacts when resizing from a small source file. NEW! 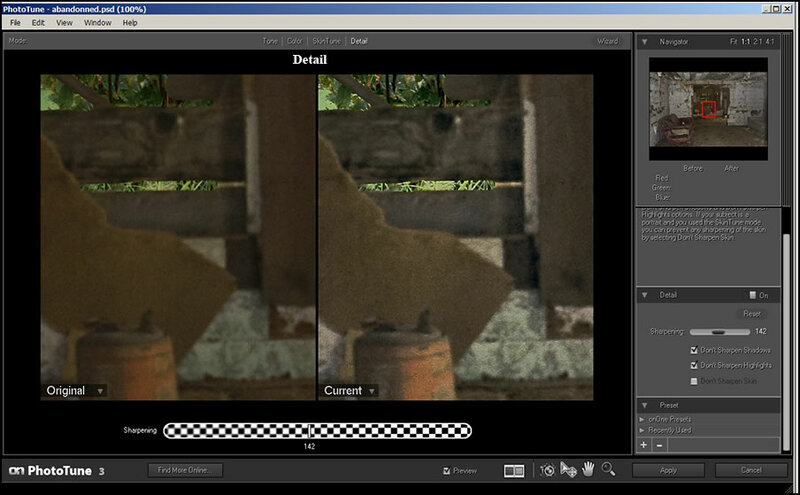 Loupe Tool gives you an instant 100% preview of the resized image quality. NEW! 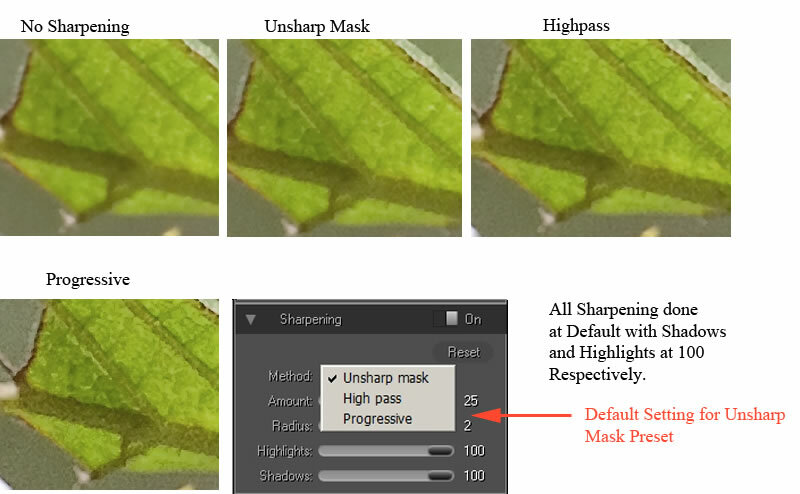 Two new Sharpening methods have been added to give you even better results. NEW! Additional presets give you consistent results in less time. NEW! Perfect Resize 7 works with Photoshop, Lightroom, Aperture and as a stand alone application. IMPROVED! The Gallery Wrap feature has been updated to give you a quick preview of the results - you've got to see it to believe it! I could not work without this product. I like to print using 13" x 19" paper. I, also, do a lot with E-on Software's Vue 9 Infinite (a 3D program). When I render, I typically render at 2400 x 1763 or less depending on the proportions I want the image to be. The default resolution is screen resolution of 72. This equates to 10" x 7.3" at 240 dpi. Thus, it is obvious that I have to enlarge the image if I want to make full use of the 13" x 19" paper. There are various methods of sharpening available. Of course, each individual image dictates the method and amount. Below are some examples to show the differences between the various methods. Smoothing is another new feature. When you smooth a lot, you soften details but get rid of some of the background artifacts. Below are magnified and exaggerated details. 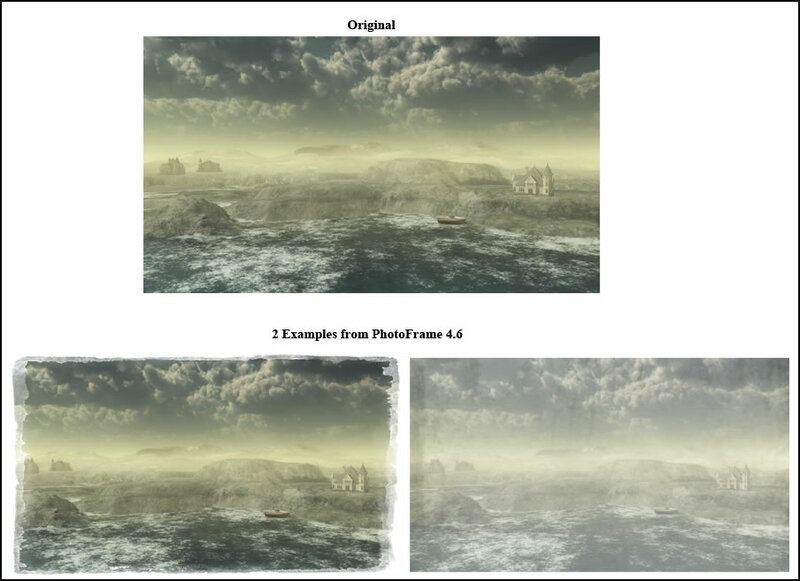 Perfect Resize 7 comes in two forms if purchased separately - Standard and Professional. When purchased separately, the Standard costs $159.95 and the Professional costs $299.95. Upgrades are available. For more information go to Perfect Resize 7 on the onOne Software site. "PhotoTools 2.6 – PhotoTools 2.6 adds a dozen new effects to the highly acclaimed Photoshop plug-in that allows photographers of all skill levels to maximize the full power of Photoshop with its ability to preview and combine Photoshop Actions in a single, intuitive interface. Designed by photographers for photographers, PhotoTools 2.6 includes the MaskingBug control, based on the FocusBug control from the award-winning FocalPoint plug-in, to selectively apply effects to images. PhotoTools 2.6 now has a total library of close to 300 effects that photographers can easily browse, preview and combine to create images that truly stand out." NEW! Portrait photographers get a new Blemish Removal brush. NEW! Includes new effects designed specifically to enhance HDR photos. NEW! Includes over a dozen new texture overlays. Below is the Interface. 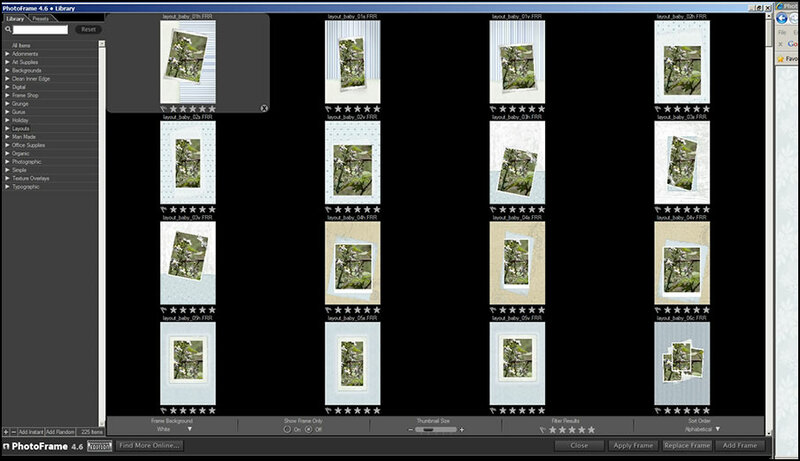 Notice on the lower right is a preview pane that shows how the effects will appear on stock images. The image you are using appears much larger in the main window. Below are some magnified images of the interface. The Navigator shows your image while the Preview shows stock images of the particular Preset. PhotoTools 2.6 has both new categories and new presets. There is a new HDR Enhancer category and new Brian Matiash Presets, new Black and White Effects, new image Overlays Effects, and new Portrait Enhancing Effects. Effects can be stacked, a factor that I very much like. These can be saved as personal Presets. Once saved, they are a click away. Many of the filters can be used globally as well as "brushed" on or used with the MaskingBug. I found that sometimes the order in which Presets were stacked made a difference. Below show two default masking options. They automatically change depending on whether I use a brush or a bug. I think it should be obvious from the short demonstration how flexible PhotoTools 2.6 is and how many Effects can be created from it. The addition of new Effects has added more interesting possibilities for your toolbox. 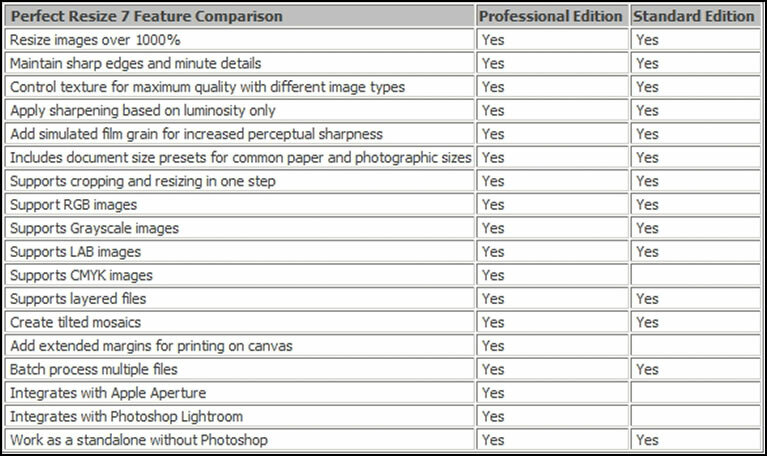 Prices for PhotoTools 2.6 separately are: For a full version $259.95 and for an upgrade $99.95. 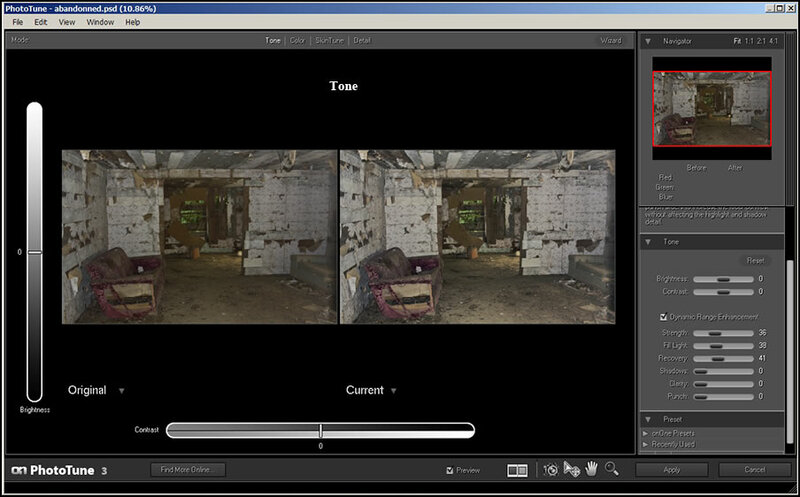 To learn more about PhotoTools 2.6 and see demos, click on link. "PhotoFrame 4.6 – With PhotoFrame 4.6, photographers can add the perfect finishing touch to images and layouts with new backgrounds, borders, layouts and adornments. With over 1,000 design elements such as film edges, borders, textures, backgrounds and adornments, PhotoFrame 4.6 even has complete layouts where users can simply drop an image in and they are done. It is the easiest and fastest way to add an authentic darkroom touch with a film edge or to create beautiful albums or scrapbook pages. Photographers can now use PhotoFrame 4.6 directly within Lightroom and Aperture." NEW! 27 new Wedding layouts added. NEW! 6 new Senior portrait layouts added. NEW! 8 new film and photographic edges added. NEW! 48 new background papers added. Sometimes a final touch is necessary to take an image to another level. 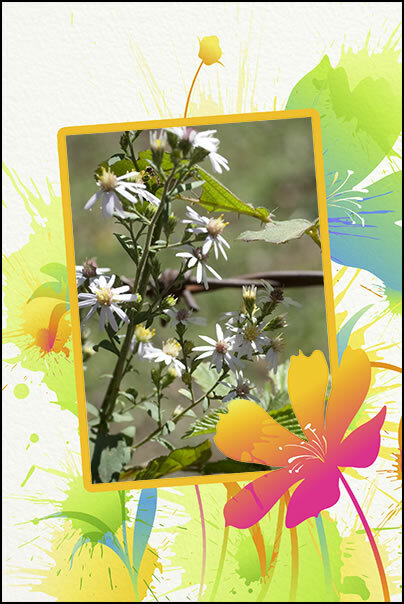 PhotoFrame 4.6 can provide that magic touch. When you purchase the product, you can download for free new monthly templates, ornaments, and backgrounds from the onOne Software website. 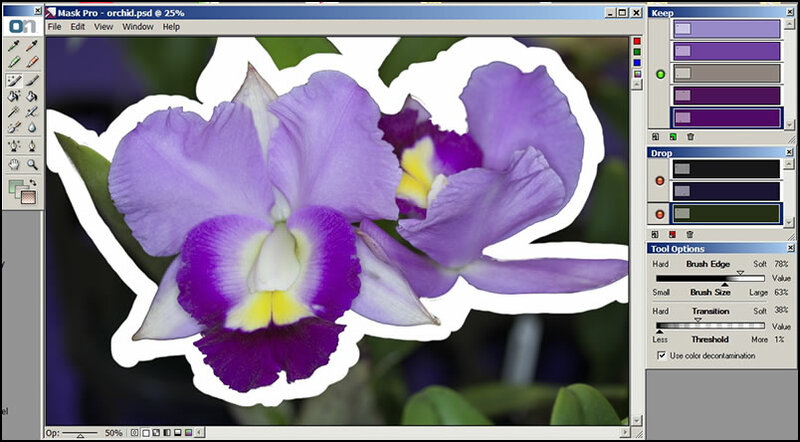 PhotoFrame 4.6 is much more than a program to put a "frame" around an image. Adding a traditional frame is only a tiny, tiny part of the program. All the added elements are controllable so you can customize each image or you can do it in batch format. Below are screen captures of some of the panels. You can see how customizable this program is. When you apply an element to your image, you can have it on a separate layer. That is always my choice. Below is an image where I added a preset (left) and a background (right). Being a subtle image, I wanted subtle additions. Here I added a layout of bright flowers. I could have lessened the opacity of the layout, blurred it, etc. This program adds a lot to any image. I could tailor the contents to my individual images as to feel, style, etc. If you bought it individually, it would cost $259.95 for a full version and $99.95 for an upgrade. For more information, click on the onOne Software link. "FocalPoint 2 – Like bringing the camera lens inside Photoshop, FocalPoint 2 gives photographers the best way to add realistic depth of field and selective focus control to any image. 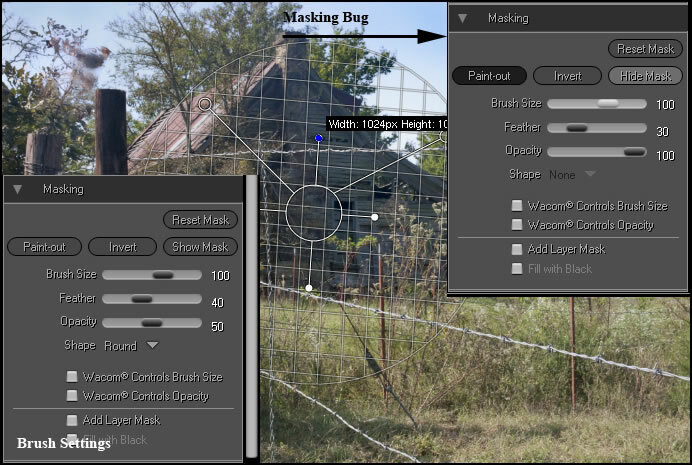 Photographers now have an incredible amount of flexibility and control over the look of the blur with the new blur algorithm, FocusBrush, Lens Presets and multiple FocusBug features. Photographers can now use FocalPoint 2 directly within Lightroom and Aperture or on its own." 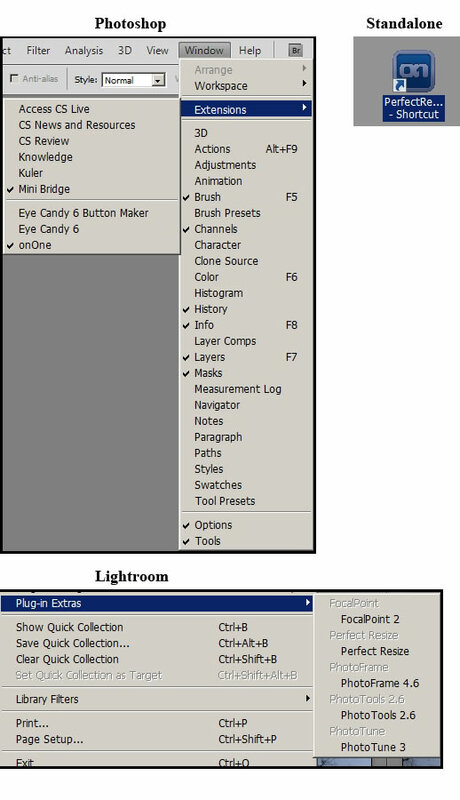 FocusBug is the pivotal element of FocalPoint 2. 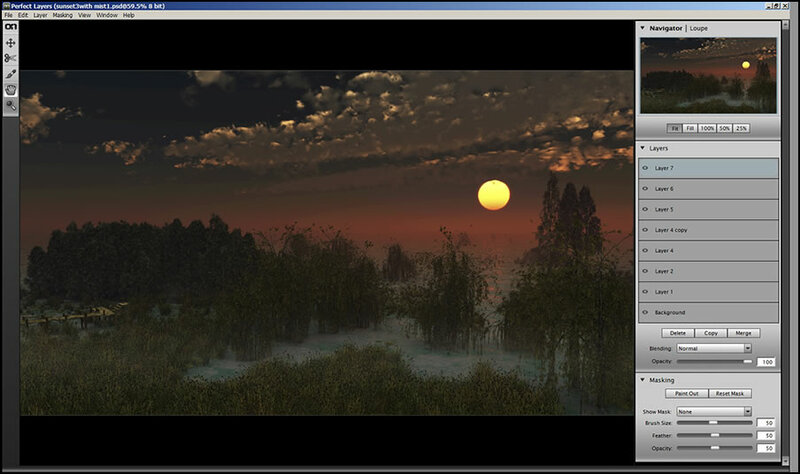 It is used to simulate various lenses. With this version, you can now use it as a standalone application or with Lightroom or Aperture. For a detailed review, see my previous review on FocalPoint 2. Here are a few images from that review. And here are a few more. Many more examples can be seen in the original review. Here I used the FocusBug to just soften the edges of the outside flowers and add a darkened vignette to the edges. This is a great program. I have used it extensively with many images. If I want to change "focus" in an image, I either use it or Layer Masks in Photoshop. However, FocalPoint 2 gives a lot more leeway to positional focal planes than does Photoshop Layer Masks. You can, also, use the vignetting features of FocalPoint 2. The separate price for FocalPoint 2 is $159.95 for a full version and $99.95 for an upgrade. For more information, go to the onOne Software's website. "PhotoTune 3 – PhotoTune 3 uses patented technology to optimize the dynamic range, color and sharpness of images so that they look more true-to-life. The Wizard offers fast color and tone correction in as little as two steps while giving pro users direct access to advanced and innovative controls. SkinTune, which represents two years of research and analysis of thousands of skin tones, offers one-click color correction of portraits and the option to correct just the skin in an image. Photographers can now use PhotoTune 3 directly within Lightroom and Aperture or on its own." PhotoTune 3 will now work in Lightwave and Aperture. Since the basics of the program have remained the same, Please read my review on it. I will show some examples, here, though of what it can do. Below I set the controls to always open at Advanced. I used two of the controls - Tone and Details. Below are two screen captures from PhotoTune 3. PhotoTune 3 now works in Lightroom and Apertures. For an in depth review, see my previous review. 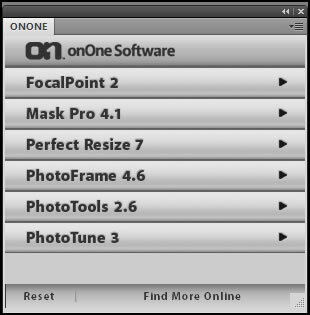 More information on PhotoTune3 can be seen on the onOne Software website. PhotoTune 3 by itself retails for $159.95 for a full version and for $99.95 for an upgrade. 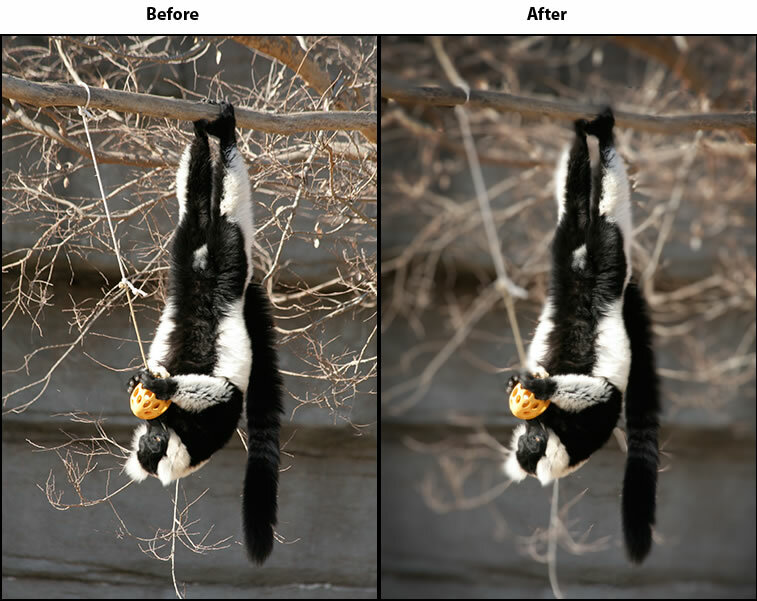 "MaskPro 4.1 – When a subject needs to be quickly extracted from a photo, Mask Pro 4 provides a color-based method that helps photographers easily remove unwanted backgrounds. Mask Pro's unique Color Decontamination technology allows users to get realistic results by maintaining transparency in hard to mask objects such as hair, smoke and glass in a fraction of the time using traditional tools." MaskPro is easy to use and does the job of isolating images well. For a full review, see my review of MaskPro 4 that I did previously. Its as easy as using background and foreground colors. 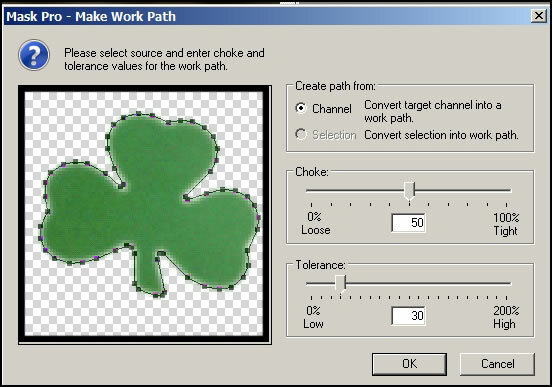 Since this program uses color, it is helpful when there is a difference between background and foreground. To use this program advantageously, work in small areas at a time. You can create new sets of colors or modify old ones as you progress. You can create a work path from either a selection or a channel. It is one of the options on the menu. For more information on MaskPro 4.1 on the onOne Software website, click on the link. The cost for a full version of MaskPro if bought separately is $159.95 with the upgrade $99,95. "Perfect Layers 1 (New!) – The newest product in the onOne Software line-up provides a fast and easy way to bring a layered workflow to Photoshop Lightroom and Apple Aperture. 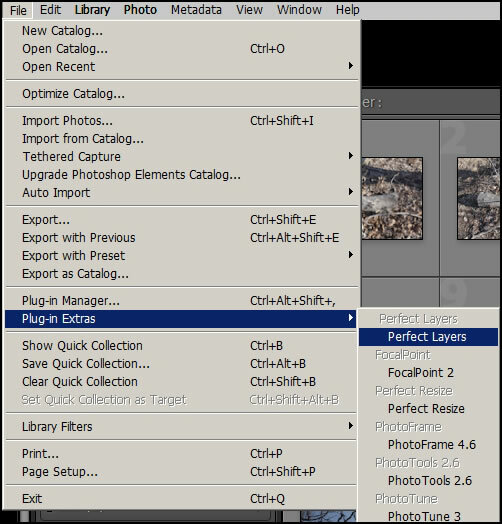 For those using a Lightroom or Aperture workflow, but not yet using Photoshop, Perfect Layers introduces the ability to create and edit multi-layered Photoshop files. With Perfect Layers, photographers can combine multiple images into a layered Photoshop compatible file; adjust layer size, position, blending mode and opacity; and use the built-in masking tools to blend multiple layers together. Perfect Layers will be made available at no cost to current owners of Perfect Photo Suite 5.5 as a free upgrade when it becomes available in 2011." Perfect Layers as a public preview is now availabe so I am updating this review. You can download a public preview free. The following is from the onOne Software's PR release of April 21, 2011: "The Perfect Layers Public Preview release is available immediately at http://www.ononesoftware.com/perfectlayers/. The shipping version will be available, with additional features, by mid 2011 as a standalone product for $159.95 and as part of the Perfect Photo Suite 5.5. Owners of Plug-In Suite 5 can upgrade to Perfect Photo Suite 5.5, which will include Perfect Layers, at no additional cost. The Perfect Layers Public Preview is a time limited release and will expire on June 30, 2011." Perfect Layers acts as a mini image editor. It is a boon for Adobe Lightroom users because you can access it from Lightroom to create layers within your image. 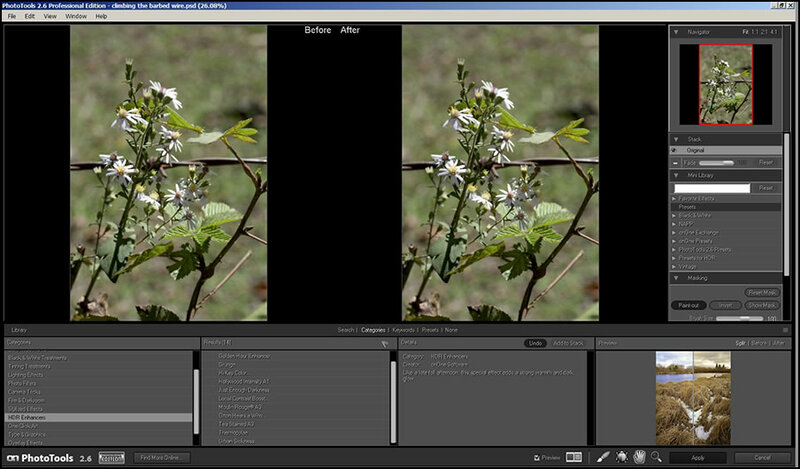 The interface is from the standalone and Lightroom version. I opened a layered image in it. Some images cannot be opened with layers in Perfect Layers. 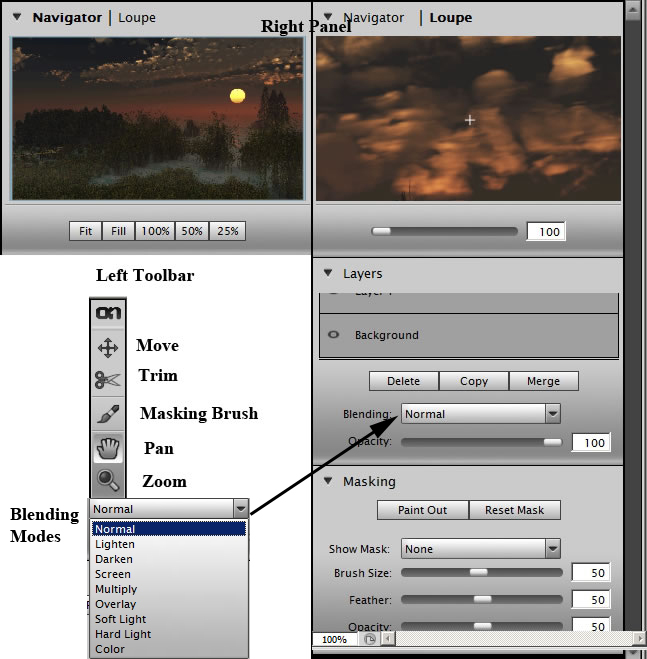 Those with SmartObjects, Text Layers, Adjustment and Styles, Alpha Channels Unsupported Blending Modes, Unsupported Masks, and Layer Groups will not open in layers, but will open as a merged composite. Of course, you can take an image and create layers which is the focus of the program. 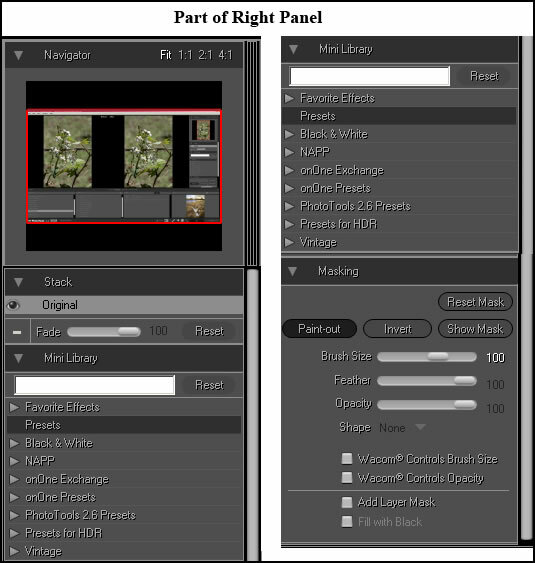 Below are some details on the tools available in the Perfect Layers' interface. I believe Perfect Layers will add a depth to Lightroom and broaden its use giving it some components that it didn't have previously. I will, once again, add to this review when there is a final release within the next few months. For more information go to the onOne Software's website. Here is a link to the recommended system configuration. It is interesting and useful to read. As stated in the beginning, this is a free upgrade to owners of Plug-In Suite 5. Separately each product would cost about $1,460 (that would include Perfect Layers). The price for new users is $499.95 for Perfect Photo Suite 5.5. Owners of Plug-In Suite 1, 2, 3, and 4 can upgrade for $199.95. You can also upgrade if you own some of the components. Click on the upgrade link to see a complete price list. Free trials are available for all products. These are excellent products which I have used for years. I will play favorites and say that Perfect Resize 7 (formerly Genuine Fractals) I use on a continuous basis. Not an image is printed that doesn't get resized using it. However, I have used all the products for years now and I recommend this suite as an excellent buy to get the full advantage of these products. If I purchased my three favorite products separately - Perfect Resize 7, FocalPoint 2, and PhotoFrame 4.6, the total would cost more than purchasing the entire Perfect Photo Suite 5.5. So before buying a single product, think in terms of purchasing the full suite. You will not be disappointed. All products can be taken on a 30 day test drive.